Barbara A. Voss (Gram) passed away unexpectedly at her beloved home on Saturday, February 2, 2019 at the age of 79. Gram was born November 13, 1939 in Birmingham, AL to parents James and Myrtle Abston. She was a resident of Covington, married to Robert C. Voss. She has one sister, Marianne Baxter (Ray) of Orlando, FL. She thoroughly enjoyed working in her yard and flower gardens, listening to live music, zydeco dancing, and spending time with family and friends, especially on Saint’s Football Sundays. Her treasured furry companions were Beau and Charlie Brown. Gram was a loving and supportive mother to her daughters - Linda Joffrion, Jeanne Stearns (Steve), and Lori Fowler (deceased) (Jim) and stepchildren Page Voss and Natalie Scoville. 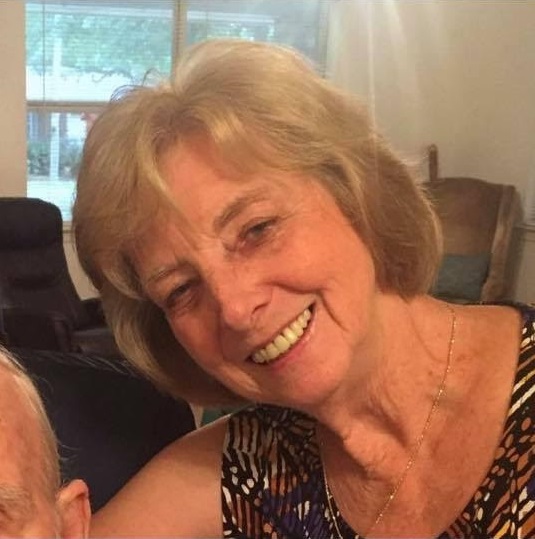 She was a loving grandmother to her grandchildren and great grandchildren - Philip Kliebert (deceased), Rachel Bitter, Ethen Bitter, Kelsey Bitter, Ashleigh Meyers, Cameron Kliebert, Abigail Kliebert, and Briley Behrens, and Dillion Voss, Robbie and Emily Scoville. We will all miss her terribly! Nephew John Fillingim wrote, I truly adored my Aunt Barbara. She was one of a kind. Kind, intelligent, fun loving and funny all wrapped in one perfect package. I will miss her dearly. I love you Aunt Barbara. She is survived by many nieces and nephews. A celebration of her life will be held at the Retreat Center at Little River Bluffs, 11030 Garden Ln., Folsom, LA 70437 on Friday, February 8, 2019 at 2:00 pm. Family and friends are welcome to join us in a celebration of her joyful life. In lieu of flowers, Barbara requested that a donation be made to the Juvenile Diabetes Foundation for research to help find a cure for this disease. www.jdrf.org Bagnell & Son Funeral Home in Charge of arrangements.